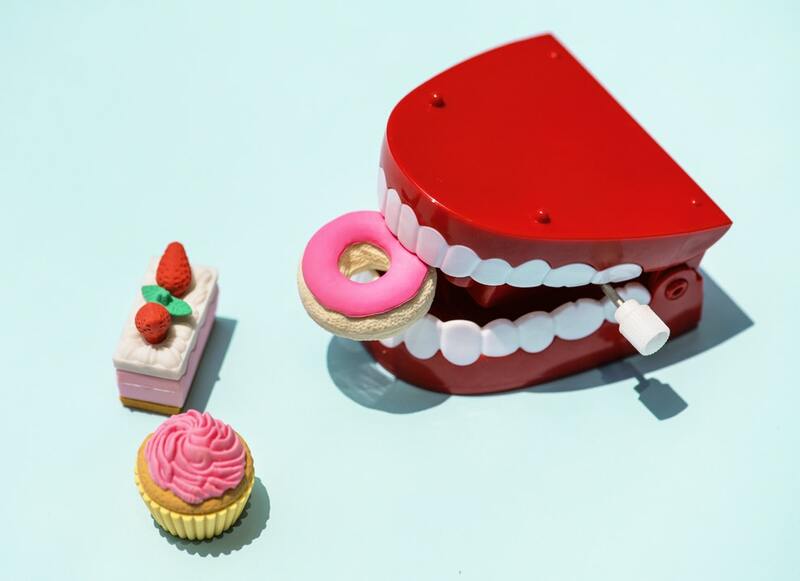 The following may seem like no-brainers, but the reality is most people don’t properly take care of their teeth and gums. It’s one of those things that if we don’t do it now, we’ll regret it when we’re older. Wise up! Brush twice a day. Floss. And read on…. Gum diseases (sometimes called periodontal or gingival diseases) are infections that harm the gum and bone that hold teeth in place. When plaque stays on your teeth too long, it forms a hard, harmful covering, called tartar, that brushing doesn’t clean. The longer the plaque and tartar stay on your teeth, the more damage they cause. Your gum may become red, swollen, and bleed easily. This is called gingivitis. If gingivitis is not treated, over time it can make your gums pull away from your teeth and form pockets that can get infected. This is called periodontitis. If not treated, this infection can ruin the bones, gums, and tissue that support your teeth. In time, it can cause loose teeth that your dentist may have to remove. Make regular visits to your dentist for a checkup and cleaning. Along with brushing, clean around your teeth with dental floss to keep your gums healthy. Careful flossing will remove plaque and leftover food that a toothbrush can’t reach. Rinse after you floss. If brushing or flossing causes your gums to bleed or hurt your mouth, see your dentist. Your dentist also may prescribe a bacteria-fighting mouth rinse to help control plaque and swollen gums. Use the mouth rinse in addition to careful daily brushing and flossing. Some people with arthritis or other conditions that limit motion may find it hard to hold a toothbrush. It may help to attach the toothbrush handle to your hand with a wide elastic band. Some people make the handle bigger by taping it to a sponge or Styrofoam ball. People with limited shoulder movement may find brushing easier if they attach a long piece of wood or plastic to the handle. Electric toothbrushes can be helpful. Chew slowly using both sides of your mouth. Dry mouth happens when salivary glands don’t work properly. This can make it hard to eat, swallow, taste, and even speak. Dry mouth also can Alzheimer’s Diseased to the risk of tooth decay and infection. You can get dry mouth from many diseases or medical treatments, such as head and neck radiation therapy. Many common medicines also can cause dry mouth. A dental check-up is a good time for your dentist to look for early signs of oral cancer. Even if you have lost all your natural teeth, you should still see your dentist for regular oral cancer exams. See your dentist or doctor if you have trouble with swelling, numbness, sores, or lumps in your mouth, or if it becomes hard for you to chew, swallow, or move your jaw or tongue. These problems could be signs of oral cancer.